Tonight, KQED begins airing the new television documentary series, Soundbreaking, which explores the breakthroughs that changed music recording through the decades. Electronic instruments have been around since at least 1919, when Leon Theremin introduced a weird-sounding box that became a staple of mid-century sci-fi movies. At the same time, mainstream electronic companies like RCA began to experiment with synthesized sound machines, powered by hundreds of vacuum tubes. But it was the advent of cheap transistors in the 1960s that a few entrepreneurs seized upon to make electronic synthesizers practical for studio recording -- principally Robert Moog in New York and Don Buchla in Berkeley. "What Moog and Buchla did, kind of independently, is put all of these ideas into one box," says Geeta Dayal, who has written extensively on the history of electronic music. But getting that box (or boxes, since early synths came in multiple "modules") into recording studios was a leap that required a different kind of visionary, like Bernie Krause. It was the 1960s and Robert Moog had barely rolled out his first electronic synths — unwieldy modules that looked more like telephone switchboards than musical instruments. But by manipulating the voltage and other factors that shape sound waves, these boxes could produce literally unheard-of effects. Beaver and Krause, who was then an underemployed session guitarist, scraped together $15,000 to buy their own Moog. "Every time that we patched a cord from one hole into another, we got a result that was intriguing, and in some cases, really pretty incredible," says Krause. "We were able to do things we were never able to do before by writing music in the traditional way." But converts were hard to come by. "We tried every single producer in Hollywood and record companies," recalls Krause. "We had a hundred rejections." The breakthrough came at the legendary Monterey Pop Festival in 1967, when the two partners used the last of their savings to set up a demo booth for their synth. The big-name artists and producers were wowed. Beaver and Krause soon had their own recording contract with Elektra's Nonesuch label. Synths were so new, though, that that first LP was actually billed as a “Guide to Electronic Music,” complete with an instruction manual for aspiring synthesists. 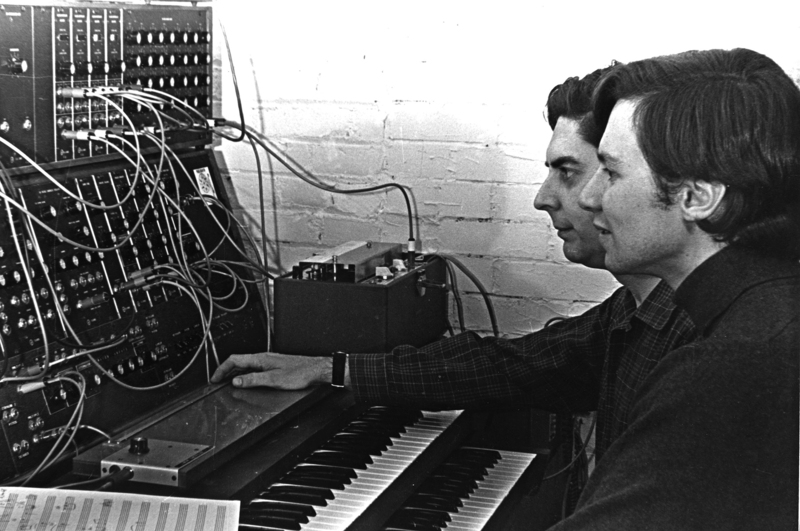 Almost overnight, synthesized recordings like Wendy Carlos’ “Switched-On Bach” were charting and getting radio airplay, but Beaver and Krause stayed true to their vision, which was more about testing the synth's limits. "Beaver and Krause operated on the margins of the recording industry," says Joel Selvin. He was the San Francisco Chronicle’s pop music critic from 1970 to 2009. "Their records were experimental, not classifiable, not geared for radio airplay or any real obvious place in the commercial market." Take “In a Wild Sanctuary,” a 1971 album that combined two polar opposites: totally synthesized music and actual nature recordings. 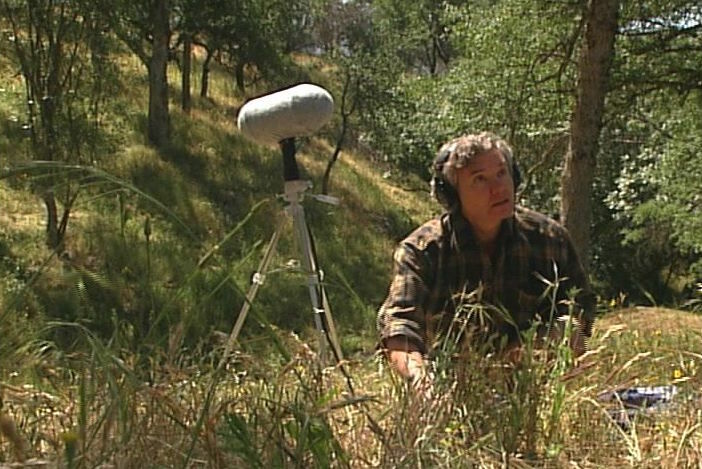 "It was the first album on the theme of ecology, and the first album ever to use natural soundscapes as part of the orchestration," recalls Krause, "which meant that Paul and I had to go out into the field and record some sound." Krause headed for the redwood groves of Muir Woods with his microphones. There he discovered his ultimate passion: recording natural soundscapes and assessing their role in the ecosystem. 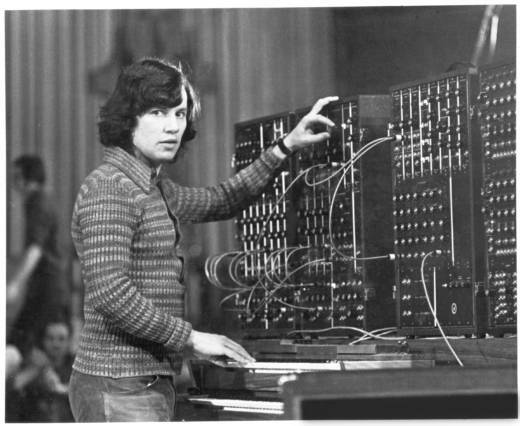 But he also had to make a living, so he went to work as a sales rep for Moog. The machines were so ponderous at that time that Krause ended up setting them up and doing sessions for A-list recording artists. "They were too stoned to play them," he says. "They couldn't figure out how to patch one hole to another." Krause worked with a Who's Who of the rock era, from the Byrds and Beatles to Stevie Wonder and Frank Zappa. When Jim Morrison decided to alter his voice on the Doors’ second album, “Strange Days,” that was Krause running his voice through a synth. These were strange days in the studio, too. "People were really looking for a new sound," says Dayal, who reflects that synthesizers offered an "endless palette" of possibilities. The pop world was ready for the synthesizer. "It was a wide-open playground for new ideas," recalls Selvin. "And it did get rapidly accepted but of course they just left Beaver and Krause behind." Well, not entirely. You can still hear echoes of Krause’s early work in classic and cult films, too. The signature scene from Francis Ford Coppola’s Vietnam War epic, Apocalypse Now, opens with helicopter-evoking pulses that started on Krause's Moog. It was the last of 135 films that bear Krause’s fingerprints. Paul Beaver died while performing onstage in 1975. And Krause soon became exasperated with Hollywood . He went back to school, got his doctorate and has devoted the rest of his life to “The Great Animal Orchestra,” as his recent book is entitled. Krause didn’t leave music behind. He just found it in new places. His close relationship with Beatles producer Sir George Martin lasted until Martin's recent death. At one point, Martin went into the field with Krause for a program aired on the BBC. On a whim in 1988, Krause couldn’t resist producing an album of music composed entirely of animal and nature sounds. He called it, “Gorillas in the Mix," a play on Dian Fossey's study of mountain gorillas in Rwanda (which Krause had also recorded by that time). Even today, in an age when software allows almost any kind of sound manipulation, Dayal says younger performers are starting to rediscover the original synths, making them "coveted collectors' items." "Using a slick iPad app just doesn’t compare," she says. "People want that kind of intimacy with technology." Dayal says many artists yearn for a more tactile experience with their tools. "And they just look so cool, you know, with wires everywhere." This story was produced in collaboration with KQED Arts for the series Into the Mix, where you'll find more Bay Area connections to the evolution of sound recording. A previous version of this post misidentified Nonesuch as a subsidiary label of Warner Bros.